Drop — How do I identify which Android version I have? How do I identify which Android version I have? 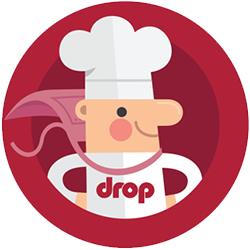 Drop is only compatible with Android devices that run Android 5.0 or later. Identifying your device's Android version varies by manufacturer but generally it can be done by going into Settings and then About on your device and checking the Android version number. If you can't immediately see this, you may have to go into Software Information. If your device is using a version of Android older than 5.0, you will need to update to a newer version. Again, the exact details will vary by device, but in most cases this can be done by going into Settings, then About and tapping the 'Software update' or similarly named button. Your device will then search for available updates and download them. You may have to confirm that you wish to update. When complete, your device will reboot with the new Android version and will—most likely—be ready to use with Drop. If your device does not update to a version of Android later than 5.0, it may not be compatible with Drop. In this case, contact your device's manufacturer to confirm which versions of Android it supports. Note: we have mostly tested and quality assured the app on the most common Android devices. If you have a rare device, please contact us and we'll let you know if it's compatible.